They drove a Chevrolet Bel Air to the picnic, but drove home in a Ford Thunderbird. With six cans of beans at a picnic for four people, this ad is truly magical. Another thing that impresses me about this ad is the copywriter managed to avoid using any real sentences. 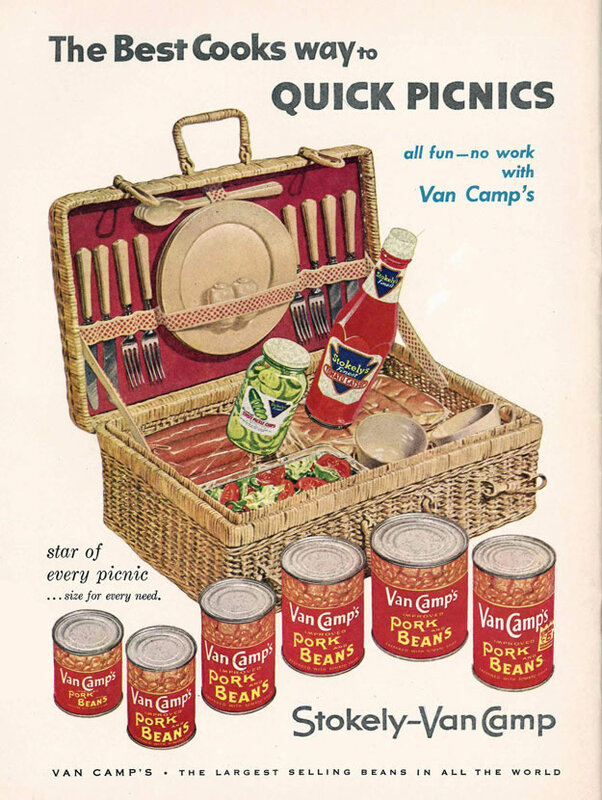 This entry was posted in ads of yore and tagged ads, advertising, beans, food, magazine ads, picnics, pork and beans, print ads, van camp, vintage, vintage ads, vintage advertisements on January 13, 2017 by Clayton Hove.